This newly renovated modern contemporary 2-level villa is set on over 300-square metres of land in Tanjung Benoa. 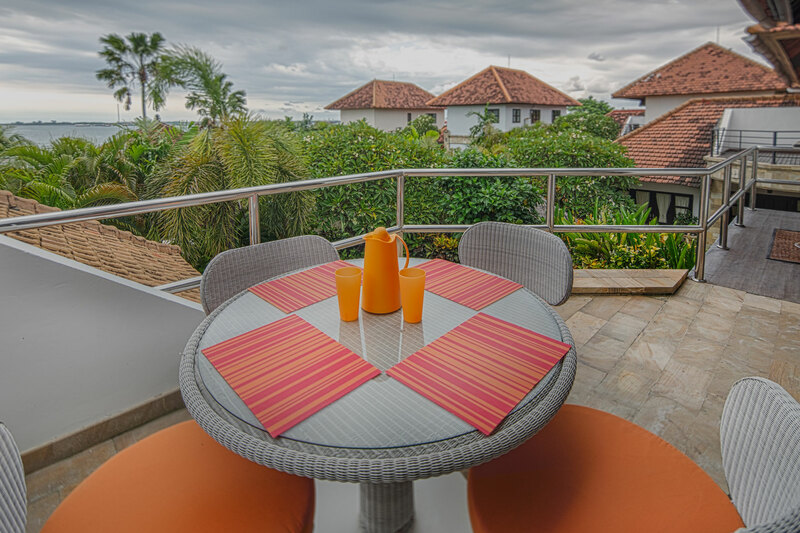 The property has 3-bedrooms complete with ensuite bathrooms while the master bedroom on the upper level overlooks stunning Benoa Beach. "Access is directly on to the beach from a beautifully manicured garden, a fully equipped kitchen faces a sparkling swimming pool and garden to complete this gem," says Neil Power from Xclusive Property Bali. "Also nearby are Sakala Beach Club, Turtle Park, Batara Dive water sports, Hotel Novotel Benoa Bali and Taman Sari Bahari water sports where you can enjoy jet skiing, water skiing, banana boats, sea walkers, diving, parasailing, flying fish, fly board, wakeboarding and surfing."